Labour could be at the forefront of exposing these inconsistencies and incoherence of Brexit. But first, the party has to overcome its own confusion and mixed messages, writes Denis MacShane. Denis MacShane is the UK’s former Europe Minister. His new book Brexit: How Britain Left Europe (IB Tauris) was launched at the Labour Party conference. For once, the Labour Party is at one with the rest of Britain on Europe. But it does not know what will happen, what to say, and whether Brexit will be good, bad or disastrous for Britain. On the surface, Labour took a remarkably tough decision opposing Brexit and insisting that a parliamentary vote or possibly a second referendum might be needed once the final deal on departure is known. That is the formal policy as adopted in a resolution approved by the conference. But simultaneously, the party refused any debate on Brexit at its conference despite many calls from delegates and constituency parties insisting that Brexit was after all, quite an important and highly topical subject. 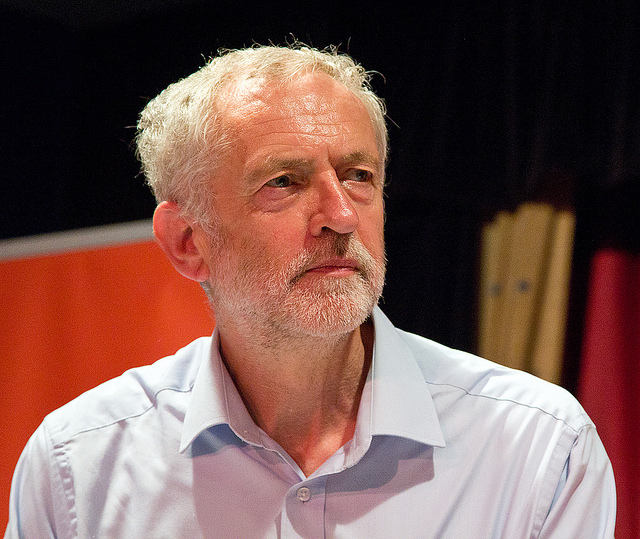 The new Labour leader, Jeremy Corbyn, is an unreconstructed 1970s leftist. As such, he supports open frontiers and no limits on workers crossing borders. But equally, as a 1970s leftist who has learnt nothing and forgotten nothing, he opposes open free trade economics, the single market, and competition policy. So Corbynized Labour wants to love and hate the EU at one and the same time. For years, the most interesting debates in Labour have been at breakfast, lunch and evening seminars crowded with delegates who want a real discussion. This year, Labour was awash with Europe debates with at least three taking place simultaneously on Monday (26 September). This lack of coordination mirrors the incoherence of Labour’s own policy and politics on the Europe. The party is angry with David Cameron not so much for calling the referendum, but losing it to UKIP, whose attraction to core Labour working class voters is considerable. If Theresa May, for example, calls an election before the due date of 2020, Labour MPs are terrified that UKIP may steal too many Labour votes in safe Labour seats. This overstates UKIP’s importance. The party is a dung beetle, which can only feed on the issue of the EU. It has no policy on any other aspect of the nation’s governance, and with Nigel Farage gone is bereft of leadership. style and his unique xenophobic charisma. Labour MPs were traumatised by the referendum, which was seen as a second defeat after losing the 2015 election. Many of the moderate, modernising wing believe that the referendum was a sacred moment, and that the main way to interpret it is by supporting an end to the free movement of citizens and workers that has been at the core of European integration since the European Coal and Steel Community 65 years ago. Some, like MP Stephen Kinnock, son of Labour’s most dedicated pro-European veteran, Neil Kinnock, has called for a system of work permits for European coming to contribute to the UK economy. Others talk of “managed migration.” A decade ago there was a fashionable movement called “Blue Labour” which called for Labour to turn back to 1950s style working class community values. Now the Labour MPs backing an end to free movement have been dubbed “Red UKIP” as they echo the core anti-EU line from the referendum that EU immigration into the UK is “unsustainable” as Theresa May declared at her party conference a year ago. The Red UKIP line dismays stalwart pro-Europeans, notably amongst Labour MEPs who appealed at endless Labour conference meetings for a forensic spotlight on government divisions, and Conservative Party fears that Brexit will be very bad for the UK economy. Not on the record, the bankers and international lawyers who attend party conferences, were clear that City banks and advisory firms were now seriously planning for Brexit with major relocations to other capitals in order to safeguard access to the EU’s single market. At one packed side meeting, Justin Picard, the First Minister of Gibraltar, said that the Spanish foreign minister had stated that a minimum demand from Madrid for any endorsement of a final Brexit deal for the UK was joint sovereignty between the UK and Spain over Gibraltar. Unfortunately, the downside and fears over Brexit are barely reported in the British press, save perhaps in the Financial Times, which is not read by Labour voters in the party’s heartland constituencies. When it does, public opinion can change and the open question is whether Theresa May wants to be a prime minister who in peacetime wants to preside over a government reducing the nation’s wealth. Labour could be in the forefront of exposing these inconsistencies and incoherence. But first, the party has to overcome its own confusion and mixed messages from the Corbyn leadership down to the Red UKIP MPs, who think the rest of Europe is prepared to bury its principles and values as a reward for the Tory-UKIP campaign of hate against Europeans who live and work in the UK. The author must really believe in project fear as most of the remain politicians have now moderated their views considerably. I voted remain on the basis of European unity but my view may change if the Spanish really are playing the Gibraltar card. The British people will never be bullied and if the Spanish want to see what 13 million less British tourists visiting Spain does to their economy then they should go ahead. The Gibraltarians choose to be British and as long as that is their choice the British people will never bargain their rights away.